Oh the places we need to go! Working to fund Face Time Interviews and Photo Shoot with Survivors at these destinations where we will document and share ideas about Reasonable Accommodations and Living With Arachnoiditis as we come together to tell this Arachnoiditis Story. 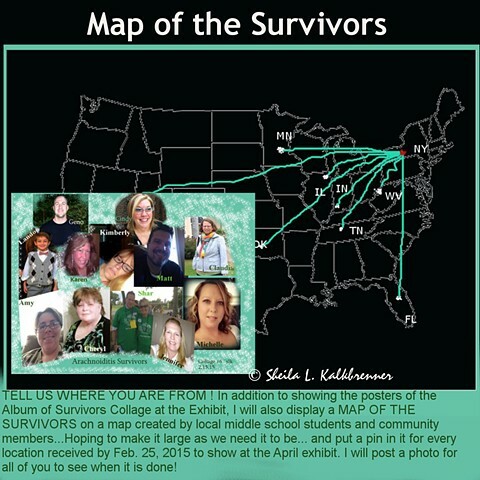 As of Feb 20, 2015, Over 186 Arachnoiditis Survivors around the world have registered their locations for display on the Map of the Survivors! Increased funding will allow them to be more involved in the Art For Arachnoiditis Project.